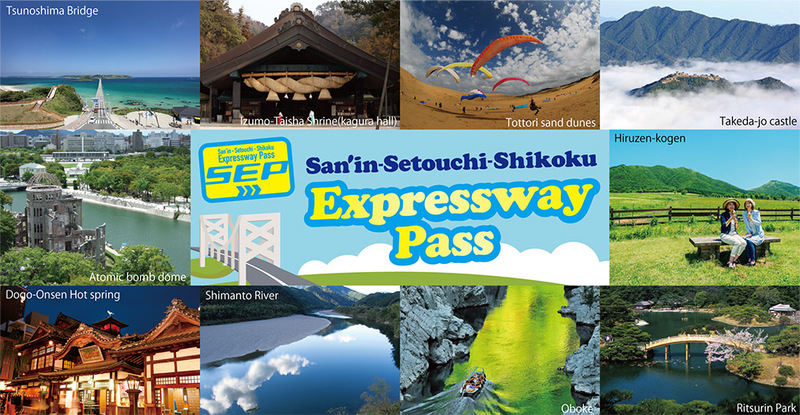 We sell SEP enabling you to use expressways in San'in/Setouchi/Shikoku as much as you like for a fixed price. * Some sections of the expressway are excluded. By using the ETC card provided by designated rental car companies, you can use the expressway without stopping at toll booths! This pass is limited to rental cars for foreigners. 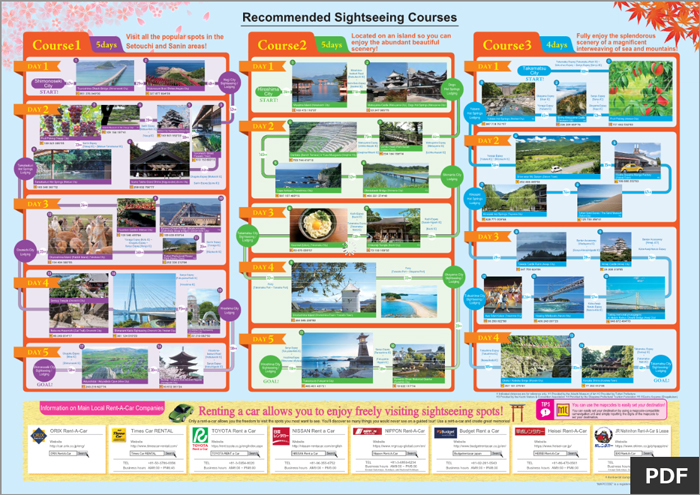 Plans start from 6,000 yen for 3 days with deals for longer periods of use. Choose your preferred plan from options ranging from 3 to a maximum of 10 days. Make your reservations for a SEP according to your plan and rental car at a rental car booking location. Those with non-Japanese passports and Japanese citizens with permanent residence permits in a foreign country. Must possess a driver's license that can be used in Japan. * Under the SEP scheme, "1 day" means 0:00-23:59. For example if you were to use the service from 13:00 on April 1 to 13:00 on April 4, this would count as three days (72 hours) use for the car rental, but "4 days" use for the SEP. Please be aware that SEP will not apply in the following situations. In these situations, SEP will not apply for the whole portion of relevant driving regardless of whether or not there was some driving on the ride areas. In the following case, SEP covers only part of the relevant usage. In this case, additional fees must be paid for parts where you have traveled outside the ride area. Separate fees must be paid on the parts marked with red lines (outside the ride area), and only the parts marked with blue lines are covered by SEP. When entering from an interchange outside the ride area and leaving via an interchange outside the ride area, separate fees will apply to all parts. Make a reservation for a SEP according to your plan and rental car at a booking location. Follow the necessary procedures at eligible business locations for designated rental car companies and pay the fees for SEP. Rent a rental car and ETC card. Use the expressway and enjoy sightseeing. Return your rental car and ETC card and pay any fees for driving where SEP did not apply. For example, when using the Honshi Expressway, the following fees must be paid separately. Please look here if you would like to check the fees for Honshi Expressway. Please read and understand the SEP User Agreement and ETC (Electronic Toll Collection) System Use Policy before using. When passing through a tollbooth the fees for those not using SEP will be displayed on the roadside displays and car navigation. If you have fulfilled the conditions of use for SEP, you will not be billed for the displayed fees. Please inquire at any of the rental car companies for more detailed information. The details for the rental car companies are displayed below.